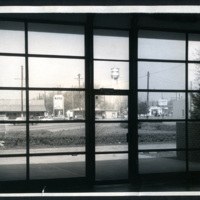 NB 3 - Looking out of the west doors of City Hall toward the intersection of Old 81 Highway and Main Street, about 1968. 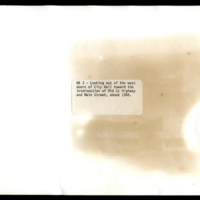 -- typed on back of photo. unknown, “Old 81 Highway and Main Street 1968,” Hesston Public Library, accessed April 25, 2019, https://hesston.digitalsckls.info/item/1731.